The secret is out – Reno is one of the greatest outdoor destinations in the country. Between beautiful mountain views and mass amounts of cultural events, the Biggest Little City needs to be next on your outdoor adventure checklist. 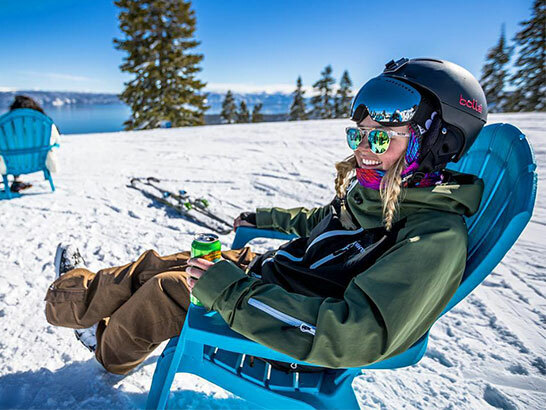 Take a ride with Hannah Thornton – GoPro and Adidas Ambassador, Reno Tahoe local and lover of all things outdoor and adventure related. This skier, paddler and motorcyclist doesn’t sit still for long. 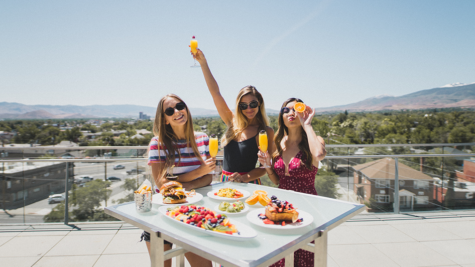 If you’re up for some fun, you’ll want to let Hannah be your guide to all things Reno Tahoe. 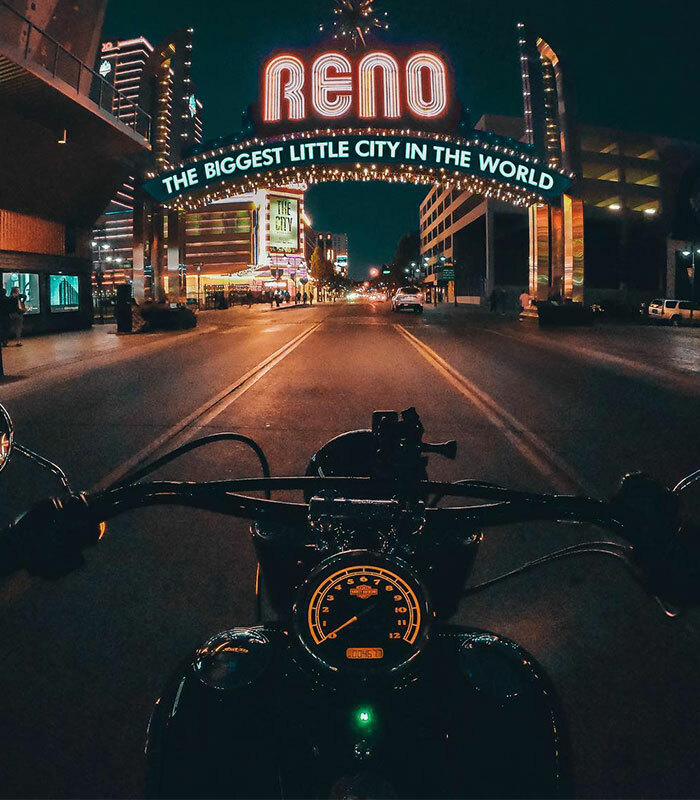 Reno Tahoe has some of the best motorcycle riding on the West. Wind your way up a mountain for those summit views or head out to the open desert where you can really throttle it. Hannah and her gal pals like to cruise around Reno to different vista points and stop for a brew at Motorcycle themed coffee shop See See Motor Company. 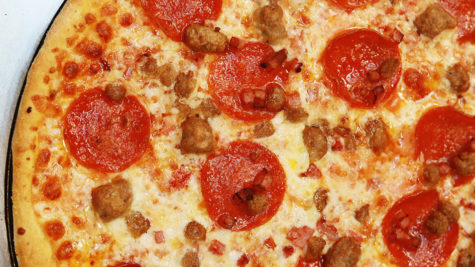 Walk the beautiful downtown river walk and grub on the most delicious food that Reno has to offer at Food Truck Friday. 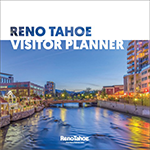 The Riverwalk District runs between Arlington and Lake Street, along the Truckee River in downtown Reno. Some of the best restaurants and bars reside in this scenic area and during the summer months, you’ll see kayakers, rafters and tubers enjoying nature in the heart of the urban downtown area. 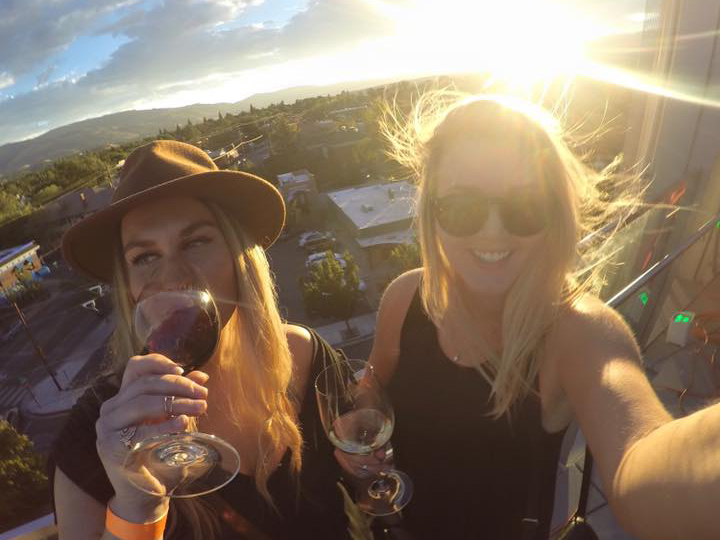 On Friday nights, head west from downtown along the Truckee River to enjoy Food Truck Fridays, and during the month of July, you’ll find a music or art event almost every night at Wingfield Park. 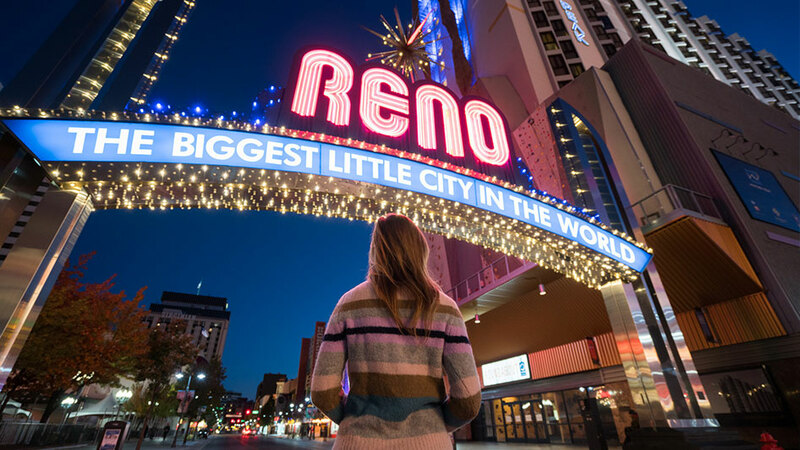 Reno Tahoe may be the Special Event Capitol of the U.S. 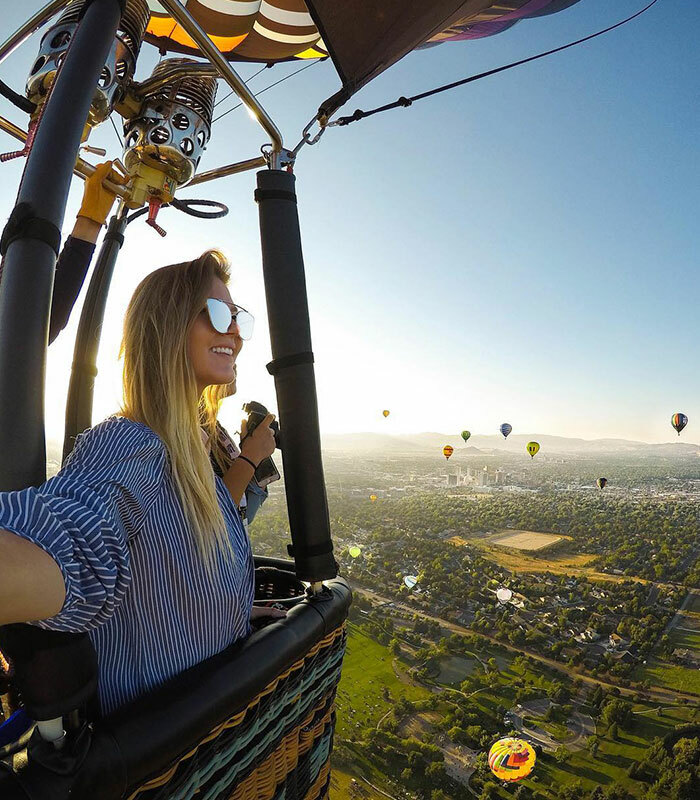 Some of Hannah's favorites include the Reno Riverfest, the Great Reno Balloon Races and Street Vibrations. Zipline across the Truckee River and participate in the River Roll while you watch professional kayakers compete at Riverfest. Set that alarm early or pull an all-nighter to witness the magic of the Balloon Races. Street Vibrations comes twice a year, but the big one is in September. Rev that engine and ride with all your fellow motorcycle enthusiasts. Epic skiing is only minutes from downtown Reno. With over 300 days of sunshine per year and vast Sierra Nevada terrain, Reno has recently been voted America’s Best Ski Town. The Reno Tahoe area boasts the highest concentration of ski resorts in North America! Hannah is quite partial to her 8 a.m. board meetings. Getting to the beach early means you beat any crowds and avoid the wind. 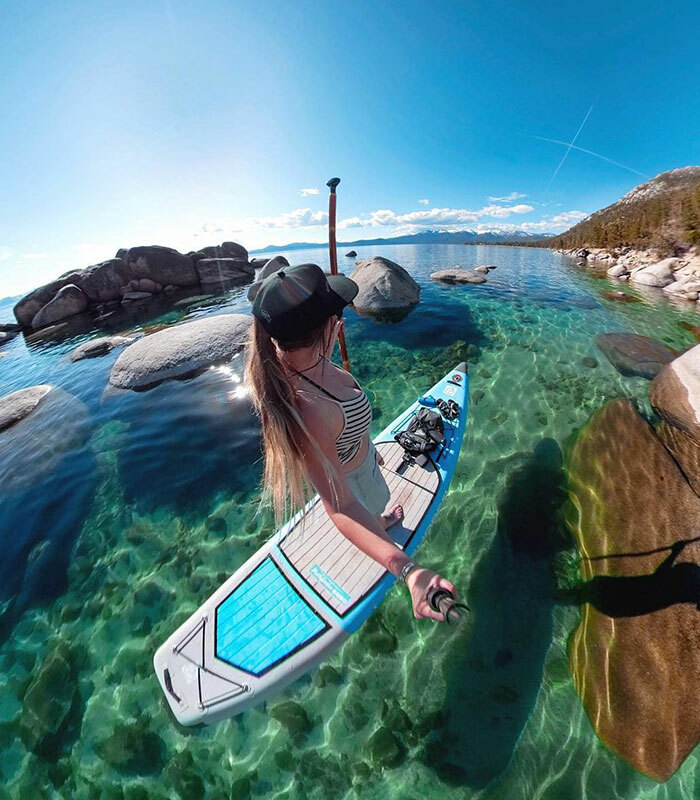 There's nothing better than gliding across a still and crystal clear Lake Tahoe. You can rent a board on-site at Sand Harbor, or visit our paddle boarding page for a list of rental sites and the best beaches to paddle at. From backcountry skiing and stand up paddleboarding to hitting the open road on her motorcycle, Hannah Brie will take you on some of the most inspiring adventures. Tag along!